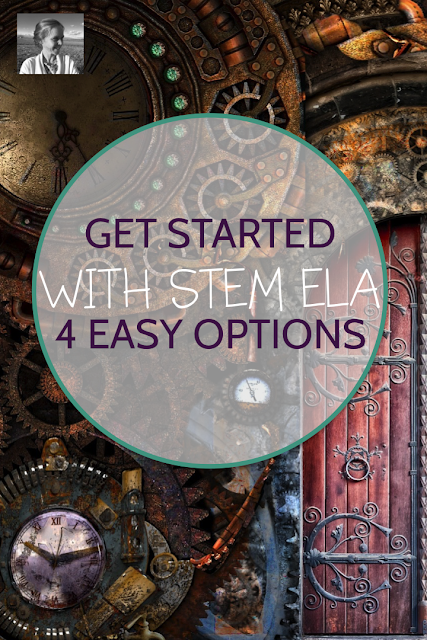 The educational world loves STEM right now. Or is it STEAM? Or STREAM? New disciplines keep getting added. Well, today we're adding English. It's easy to incorporate some of the great things about STEM into your ELA curriculum. Here are four ways to try it out. One of the great things about English is that you can have students practice their writing with SO MANY twists. So they need to work on their argumentative essay abilities? That doesn't mean they need to write a five paragraph paper. Why not let them try a project like designing an App based on the wants and needs of a literary character, then using their argument skills to explain why the character would invent that app? What app might Ponyboy from The Outsiders create? Perhaps something to help students from different parts of a city understand each other better and connect across dividing lines? What app might Starr from The Hate U Give create? Maybe something that would help teenagers connect with politicians so their voices could make a greater impact? You can find complete handouts for this App project here. You could also have students design video games based on novels, sculptures or monuments based on key themes of the novel, or homes that would uniquely suit literary characters. 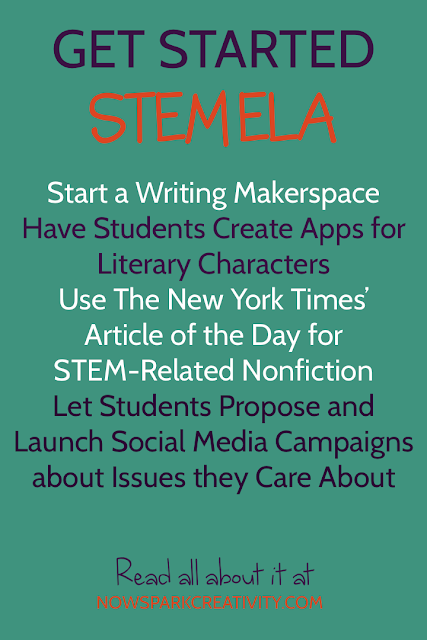 There are so many ways to integrate the concepts of STEM with a final novel project. Just let your imagination wander. The New York Times Learning Network is a treasure trove. One of their wonderful features is the "Article of the Day," in which they share resources for teachers in approaching something important going on in the world. For example, a recent article about Facebook and online privacy is likely to be of high interest to students. You could discuss it with them using the resources here (provided by The New York Times), and keep an eye on the Article of the Day section for more intriguing STEM-related news. You'll give students a chance to read and debate important nonfiction, using their ELA skills in an interdisciplinary format. 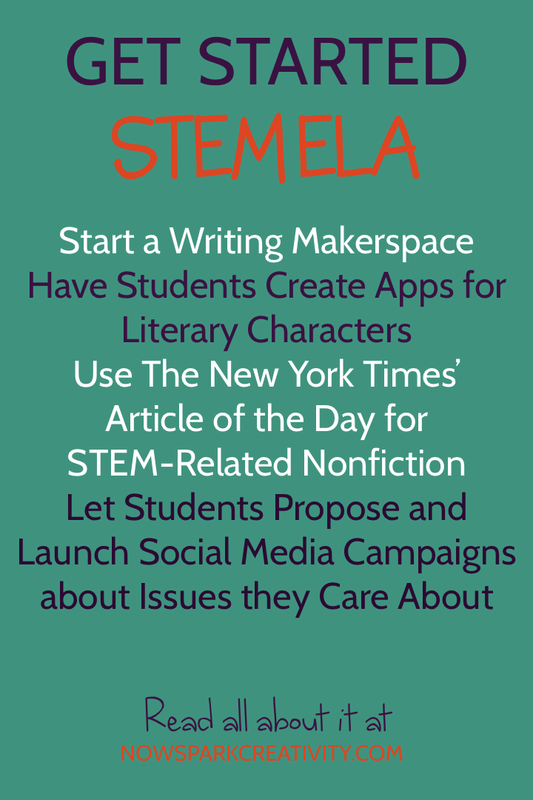 Makerspaces are all the rage, and there's no reason you can't apply the maker movement to your English classroom. If you're a regular reader, you know I've been inspired by Angela Stockman's book, Make Writing. Let your students make before writing, using maker materials to design characters, sets, or even artistic pieces that represent themes or conflicts that can then appear in their writing. Once they've created something, they can move on to base a story, poem or essay on it. 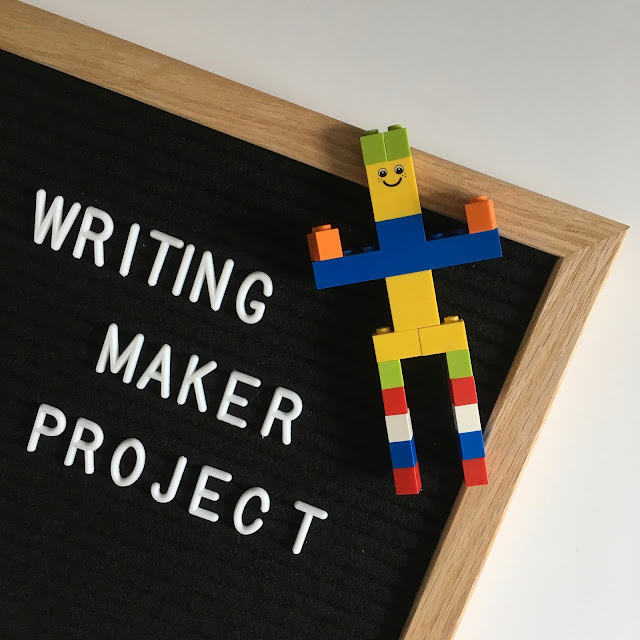 Try out your own collaborative class maker writing project by having every student contribute a maker piece, then let everyone choose which ones to incorporate as the characters, conflicts, settings, and themes of their writing. If you're interested, you can find a more complete roadmap post for this project here. We all complain about the social-media obsessed nature of modern life. Why eat food when you can take pictures of it? Why dress up to go somewhere if you could just dress up and take great snapchat pictures of yourself right in your own room? Ha. But social media is used for much more than making a person look cool and interesting. Social media can be a platform for significant social and political change. The #NotOneMore and #ArmMeWith campaigns are recent examples worth sharing with students. Tap into both technology and artistic design by inviting students to research issues they care about and propose a way to make change through a social media campaign. Have them design images and create hashtags, proposing strategies for getting their campaign to catch on. Then, as a class, choose one that the whole group can pursue together. Make a plan for sharing the campaign and figure out who is going to do what, and what success will look like. This project would be an ideal time to try out design thinking. Looking for more creative ideas for your secondary English classroom? Check out The Spark Creativity Teacher Podcast, now celebrating its first 10,000 downloads! Or jump into my Facebook group, Creative High School English, and join a community of teachers from around the globe striving to make their classrooms as creative as they can be.